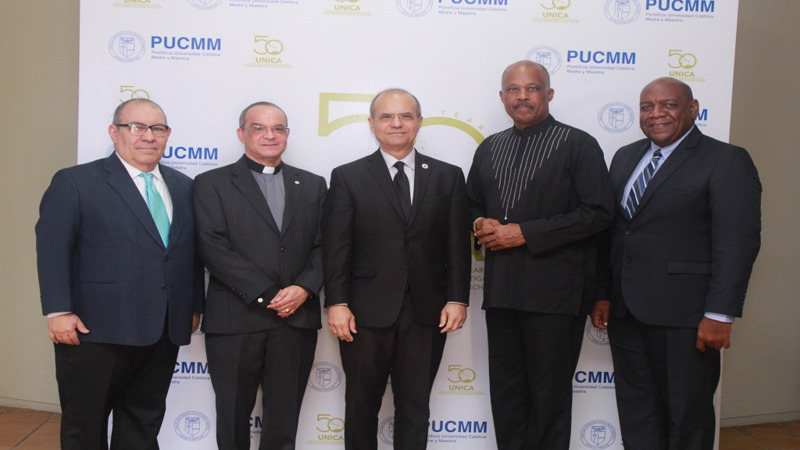 (From left to right) Dr. David Martin, Vice Rector, Pontificia Universidad Catolica, Dominican Republic; Padre Professor Ramon Alfredo de la Cruz Baldero, President, Pontificia Universidad Catolica, Dominican Republic; Dr Jorge Haddock-Acevedo, President Universidad de Puerto Rico; Professor Sir Hilary Beckles, Vice-Chancellor, The University of the West Indies; and Dr Francis De Lanoy, Rector Magnificus, University of Curaçao. 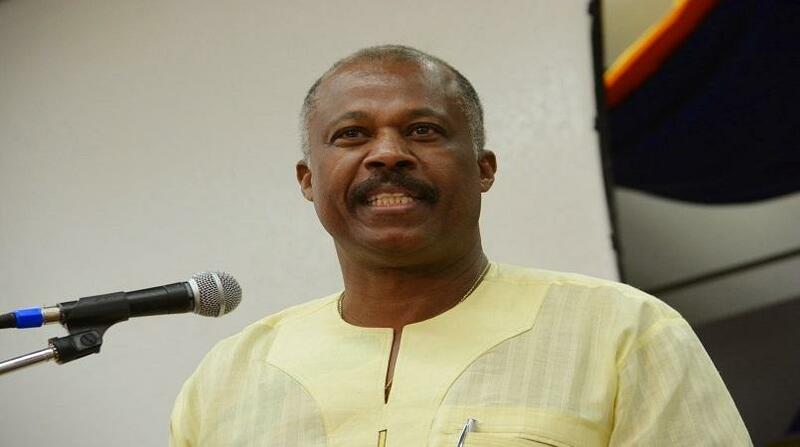 Professor Sir Hilary Beckles, Vice-Chancellor of The University of the West Indies (The UWI) is now guiding a team of academic leaders in the region to strategically plan the regional university sector for the coming decade. The academic leaders from CARICOM, Cuba, Haiti, Puerto Rico, Colombia, the French and Dutch-speaking Antilles—who comprised the independent, voluntary organisation known as the Association of Caribbean Universities and Research Institutes (UNICA)—voted to abolish the traditional association which existed since 1967 and to create in its place a new organisation, “Universities Caribbean”. The general mandate given to Universities Caribbean is to revitalise, energise, and effectively integrate the regional university sector and to enhance its quality and regional impact. The approved strategic plan of the new entity is built upon three pillars: to improve the reputation of the sector; to enhance the resilience of the member universities and to increase the revenue position of members and the sector. Guided by the organising principle of “One Caribbean Solution”, Universities Caribbean also approved key projects for implementation. Among them, the promotion of student mobility across the region, and the creation of joint research projects around important regional challenges. 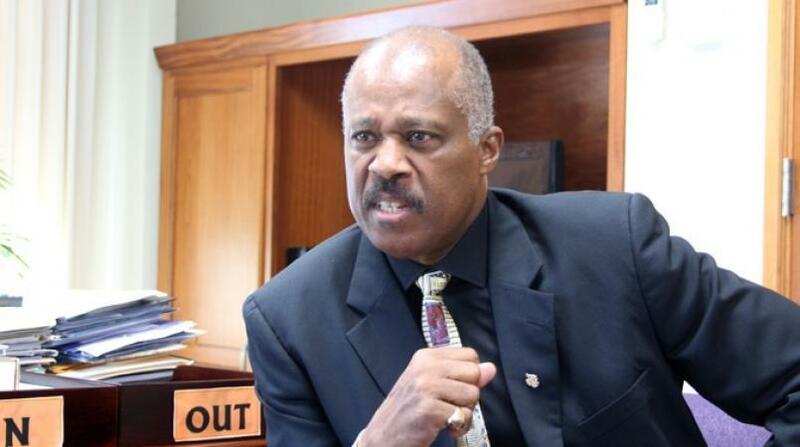 Recognising that no one university can find answers to regional problems such as Climate-smart actions, Blue Economy innovation, poverty and security, the university leaders pledged to create a One Caribbean University System.